Losing contacts is far from ideal. You can end up losing hundreds of precious details about family, old friends or important business contacts. If this has happened to you, I know it may be scary, but you may still be able to get them back. 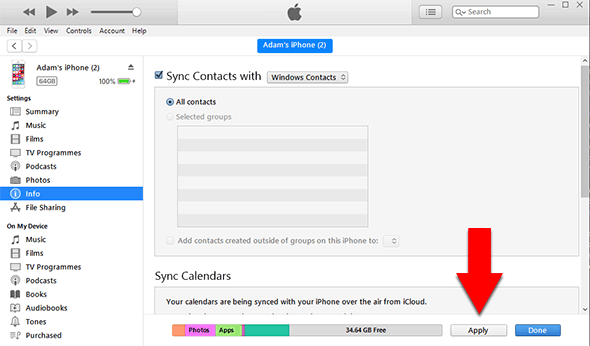 Most of the time, backups are made automatically of your iPhone to iCloud or iTunes, and your contacts make up part of these backups. So, to get them back, we can use the backups! iCloud - You can restore lost contacts with iCloud if you previously made a backup to iCloud when your iPhone contained the contacts that you need to restore. Requires a full backup restore which could lead to loss of data on your iPhone. iTunes - You can recover deleted contacts with iTunes if you previously made a backup with iTunes when your iPhone contained the contacts that you need to restore. Requires a full backup restore which could lead to loss of data on your iPhone. iBackup Extractor - This is our recommended method to retrieve deleted contacts on iPhone. It still requires access to a backup made with iTunes on your computer, but does not require a full restore - so no chance of data loss. Open iBackup Extractor on our computer. From the dropdown menu, select the backup you wish to access. Select contacts you wish to copy (Ctrl+click to select multiple). 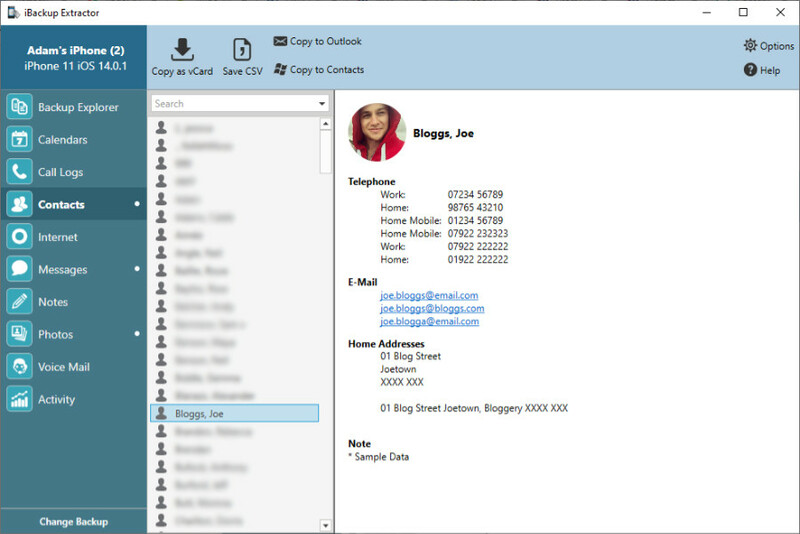 Copy the contacts to your address book app (Outlook or Contacts on Windows, Address Book for Mac). Click your device icon > Info. Tick "Sync Contacts With" and choose your address book* from the dropdown menu. Click Apply to transfer the contacts from the address book to your iPhone. * This address book is the location you saved the contacts to in Step 1. For example, on Windows it would be Outlook or Contacts, or on Mac it would be "Address Book".